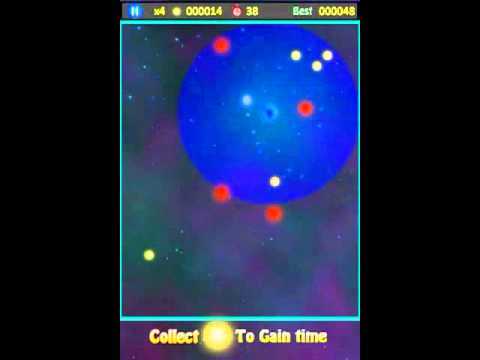 This is a simple game based on gravity which uses realistic physics and you collect points in a space themed environment. It uses the open source game libraries libgdx and box2d. * Addictive gameplay with realistic physics. * Maintains both LOCAL and GLOBAL SCORES. Note : this game uses leadbolt and admob ads. Video attached is older gameplay video. You have to guide the Neon mothership by tapping near it to attract and control. But be careful not to tap on it. Collect stars for points and avoid the enemies. Break your best scores and compete with players globally. Game suited for play by both children and adults. Please mail us at decisiontreegames@gmail.com if you face any issues/bugs and we would try to fix them as soon as possible. Permissions: The permissions are required by the libraries that are being used for ads and for Scoreloop, used to maintain global leaderboard. It also collects anonymous usage information for the purpose of improving the software. No personally identifiable information is collected.